Box Text: IT'S AN ALTERED WORLD. LEARN TO ADAPT. In the future, the most powerful substance ever made can control time and physics. Only a chosen few can control it. But only one can save us from it. You are the one. 02-11-2015 scott Box Text It's an Altered World. Learn to Adapt. In the future, the most powerful substance ever made can control time and physics. Only a chosen few can control it. But only one can save us from it. You are the one. 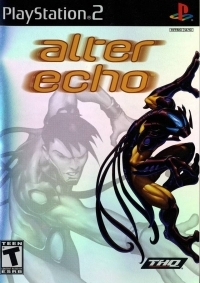 This is a list of VGCollect users who have Alter Echo in their Collection. 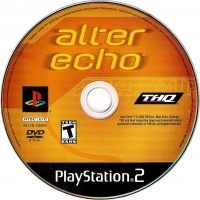 This is a list of VGCollect users who have Alter Echo in their Sell List. 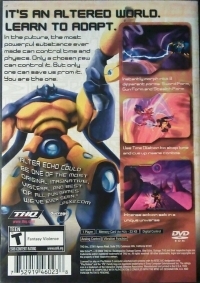 This is a list of VGCollect users who have Alter Echo in their Wish List.